SENSNET is aimed at creating a European Academy that will design, develop, collect, test and valorise an innovative training pathway that will be tailored to the specific needs of professionals who work with ageing people with sensory impairment (vision and/or hearing). Thus, the main target group of the project are workers at day care centres for older people, geriatric social workers, care workers for seniors, therapists for seniors, GPs, nurses, home-visiting care workers and other professionals that provide services to support ageing people with sensory impairments. 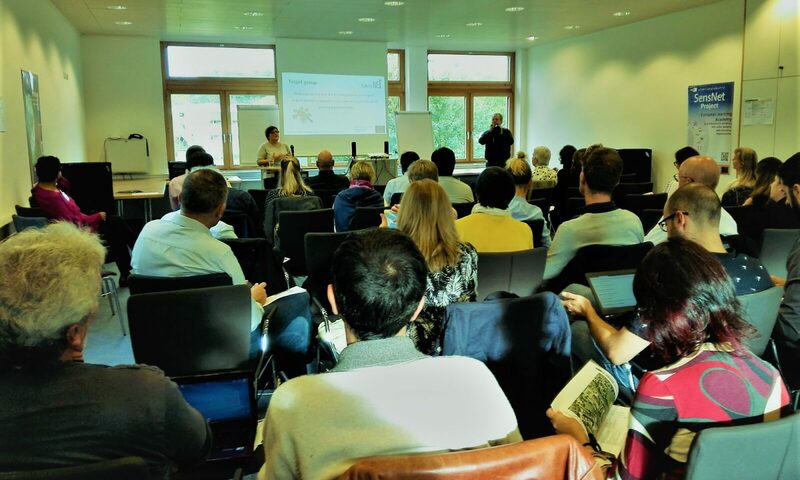 The target group of the project are these professionals, whose good appropriate preparation will finally benefit ageing people with visual and/or hearing problems that due to their impairments have problems of daily living. The project is cofunded by the Erasmus+ Programme, promoted by the European Commission. – Organisations to collaborate in project partnerships in the fields of academic and vocational training, schools, adult learning and European sport events. Erasmus+ also supports teaching, research, networking and policy debate on EU topics. We are celebrating the 30th anniversary of the Erasmus Programme in 2017 – a milestone for Europe! Transnational kick off meeting and workshops in Valladolid (Spain) among professionals working with older people with vision and hearing impairments. Transnational meeting in Nijmegen (The Netherlands) together with site visits and workshops. Transnational multiplier event and steering meeting in Düren (Germany) to disseminate the project achievements to the European network ENVITER. Transnational meeting in Madrid (Spain) to agree on the final details concerning the online training courses. They are freely available, but cannot be traded, neither copied or modified without the express consent of the partners of the project. Access to the online training platform. Free access to our training courses for professionals working with older people with sensory impairment. You can download the instructions on how to create you account and access the free online training courses. Follow us in Facebook and Twitter !! We would like to count of your collaboration. As group of professionals working with older people with hearing or vision impairments, we are willing to collaborate with other professionals, stakeholders of citizens with interest on this topic.